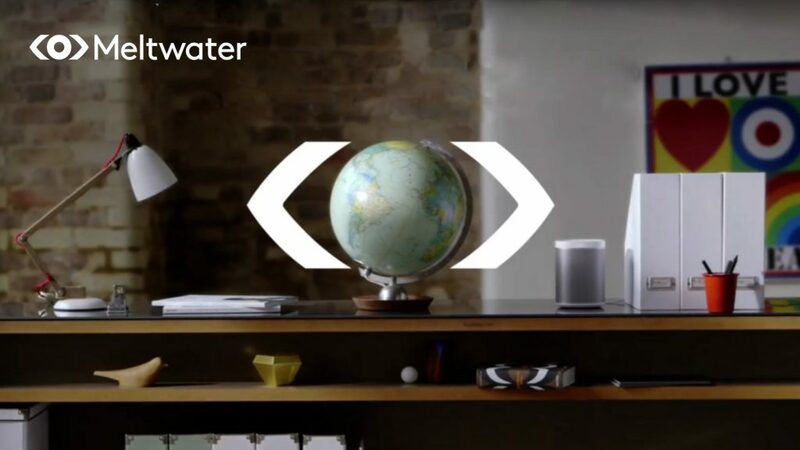 Meltwater has released a new report, titled “Digital Disruption of the Hospitality Industry.” The report examines how digital disruption is redefining the customer’s travel experience across Asia’s hospitality industry. The study found Airbnb to have the largest share of voice on both news and social media channels, when compared to various other hotels – including some legacy brands that have been in operation for much longer. Mimrah Mahmood, Regional Director, Media Solutions, Meltwater Asia Pacific said, “According to our research, Airbnb, the pioneer of the sharing economy, has stayed ahead of its competitors with its first mover advantage in Asia, led by a focus on digital strategy and localised content. This has brought increased engagement from customers, which has corresponded to its position as the market leader. Mahmood added, “The hospitality industry has seen significant transformation in recent years. Brands that are navigating this disruption need to understand technology has redefined the customer experience. Jackson Sim, Assistant Director, Digital Marketing, W Singapore said, “Digital disruption is not exclusive to the hospitality industry, and will eventually reshape other sectors, too. In the hotel industry, Sheraton dominated share of voice in news (32%) and social (28%) of earned media, with Shangri-La (27%) and Marina Bay Sands (27%) coming in 2nd and 3rd respectively for news channels, and 3rd (24%) and 2nd (27%) respectively for social channels. Marina Bay Sands tops both news and social for positive sentiment, followed by W Hotels and Ritz-Carlton. 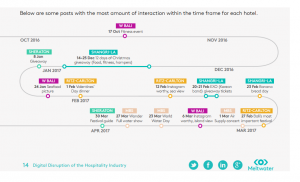 Although both Shangri-La and Sheraton had the highest SOV in news and social media among the hotels analyzed, both brands have a lower percentage of positive mentions, with a bulk of the sentiment being neutral. The report clearly distinguished between the use of Twitter for customer service management and marketing. Owing to its real-time conversational engagement, agile brands are more likely to capitalize from Twitter engagement than other social media platforms. The report also demonstrated how brands are publishing articles and visual content across news and social media publications. From naming top journalists to top sources for content, the latest Meltwater report provides a clear view into online conversations, extracting relevant insights to brands for them to strategically manage their reputation and stay ahead of competition globally.